When an inmate dies in prison, as Aaron Hernandez did, the Massachusetts Department of Corrections has a specific procedure including a lockdown and the activation of a medical investigation response team. The moment Aaron Hernandez was found hanging in his cell, Massachusetts Department of Corrections policy called for a prison lockdown and a medical investigation response team to be activated. A checklist of 14 items are to be immediately confiscated and secured, including medical records, inmate housing rosters and incident reports, upon the death of an inmate. 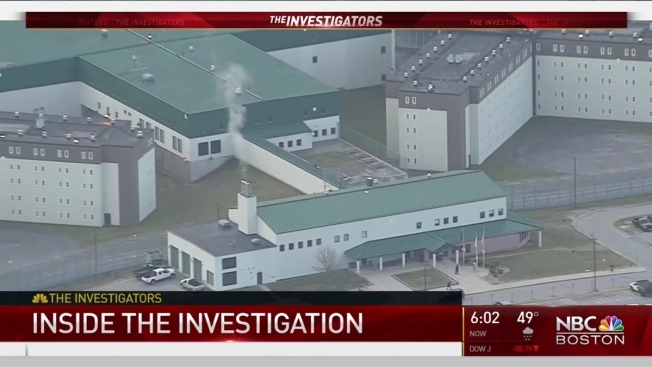 All corrections employees involved will be ordered to complete a written report and will be interviewed by state police and prison internal investigations. Police and legal sources tell NBC Boston investigators the investigation takes a three-prong approach. First, they look at evidence at the scene, including video of anyone going in or out. Photos are taken of inside the cell. Second, investigators look at how and whether the cell closed or barricaded. And third, the medical examiner’s autopsy, which was to begin Wednesday for Hernandez, and cause of death determination will signal whether the death is as it appears — a suicide in Hernandez’s case — or whether the pieces don’t fit. For Hernandez, they would note whether the ligature marks around his neck are consistent with suicide, or whether are there signs of a struggle or trauma. All video will be reviewed to determine if he was alone or is someone could have staged a suicide. In January, the Department of Corrections issued a 52-page manual on its prison death procedures. It shows they will investigate whether the prison adequately staffed at the time and what Hernandez’s mental state was before his death. Prison procedure calls for an initial report to be given to the DOC commissioner within 24 hours. Part of the prison is in the District of State Sen. Jamie Eldridge (D-Acton). “Massachusetts has the among the highest suicide rates among prisoners and corrections officers,” he said. Eldridge has a bill to form a commission to study and fix those rates that are more than twice the national average. “I really do think this moment underscores the need to reform and improve the conditions in prisons,” he said.